High level of inclusive equipment, advanced technological solutions and typical features from higher range models, guarantees the very best quality panels. 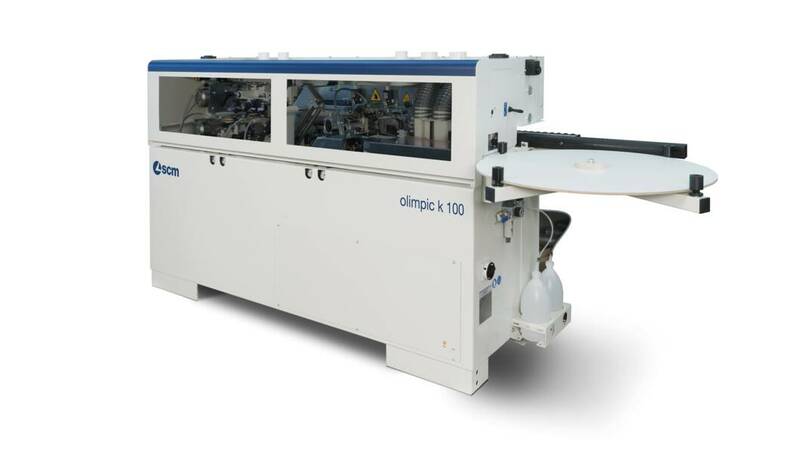 The features, coupled to its ease-of-use, makes the olimpic k 100 the perfect edge bander for small woodworking and panel processing companies. 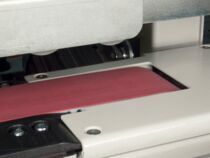 Panel movement system: designed for a perfect finish. 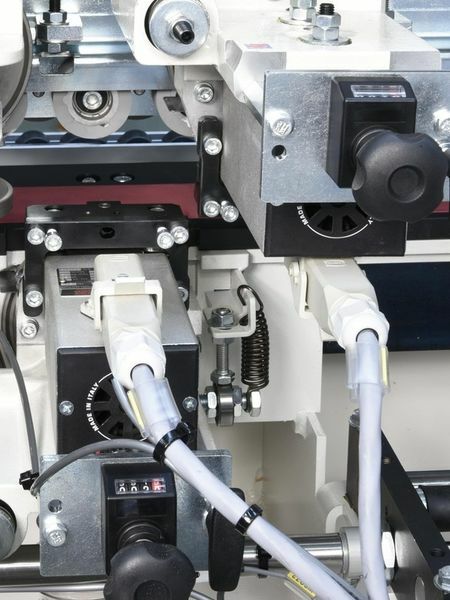 The very best finishing of the panel edge is also guaranteed by the conveying track (Scm patent), which prevents the panel having the feed affected by the typical pulse generated by the pinion of a traditional feed track. 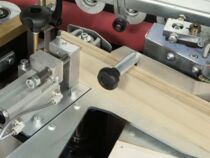 Gluing unit: solid wood edge bandings up to 5 mm thickness. 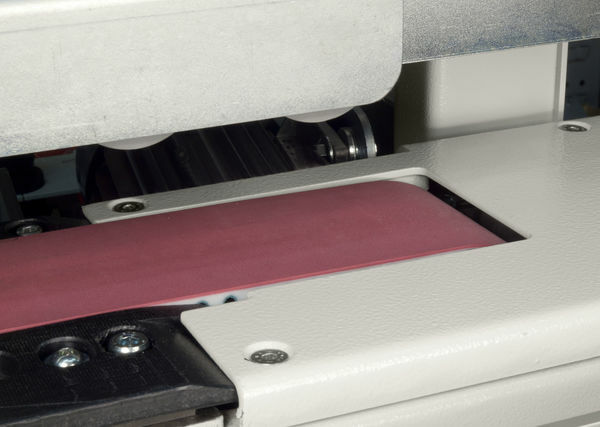 The versatility of edge banding application allows the gluing, with automatic loading, of edge bandings in strips up to 5mm thickness with a 50mm panel height (the best performance in its category). 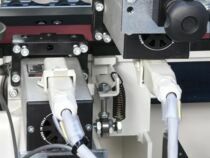 Trimming groups: 3 different machining. 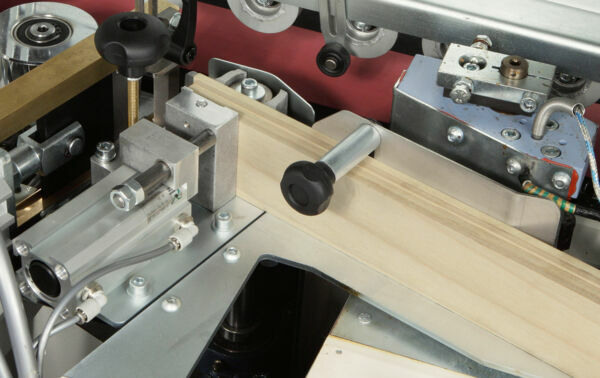 Rapid machining changeover between thin, thick and solid wood edges due to the 3 manually selectable working positions and the "Combi" tool supplied as standard feature.